In the article “Maturation of EPSCs and Intrinsic Membrane Properties Enhances Precision at a Cerebellar Synapse,” by Laurence Cathala, Stephen Brickley, Stuart Cull-Candy, and Mark Farrant, which appeared on pages 6074-6085 of the July 9, 2003 issue, the reported values of resting membrane potential and action potential threshold are incorrect (becaue of erroneous adjustment for the liquid junction potential in a subset of the data). 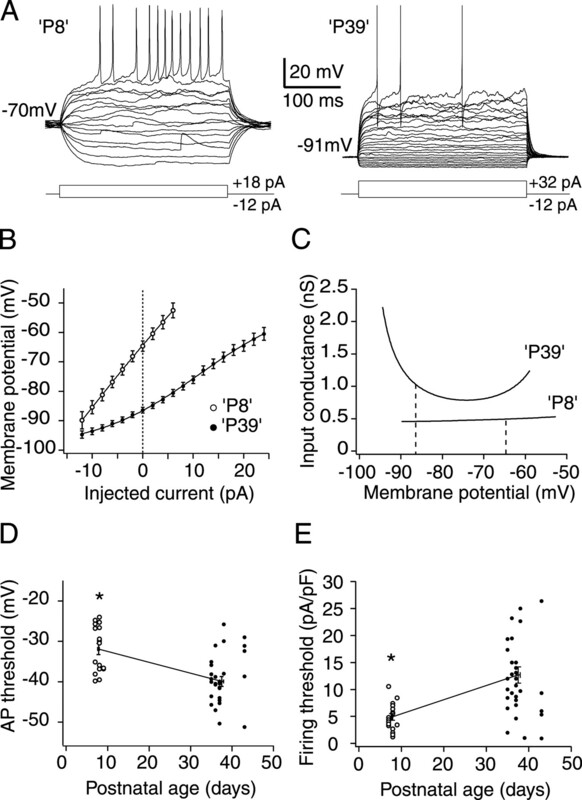 The authors now provide correct values for resting membrane potential and action potential threshold. These changes do not alter the significance or the interpretation of their findings. The two errors are located on page 6077, right column, on lines 13 and 16 of the last paragraph. The correct values are shown underlined.